If any of you have been following me for quite some time, you’ll probably have seen my custom Mac palette before. 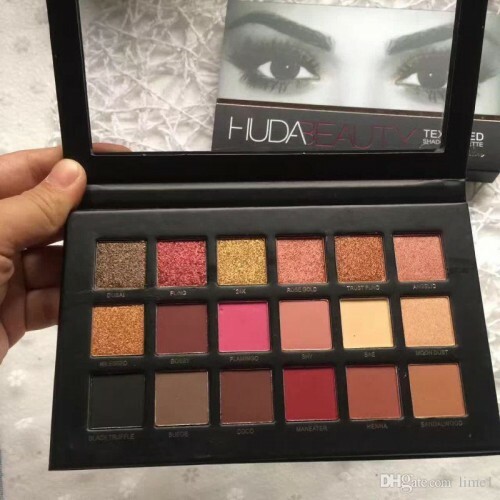 It had 15 Mac eyeshadows in and I completed it some time ago before Mac brought out their pre-made palettes and brands like MUG existed. So it cost me quiteeeeee a lot of pennies to build but I was happy with it at the time. L-R: Mac Vanilla, Mac Shroom, MUG Frappe, MUG Cocoa Bear, MUG Americano. Mac Vanilla: A matte white with really subtle hints of glitter in. One of my favourite highlight shades. Super pigmented too. Mac Shroom: A beige satin eyeshadow that’s lovely all over the lid or works as a really pretty glowy inner corner/brow bone highlight. Perfect for those ‘quick fix’ makeup days. 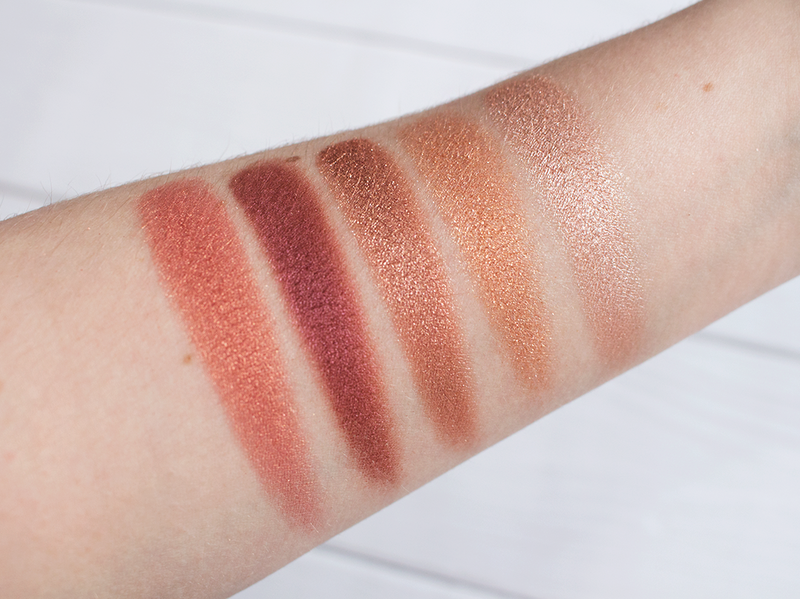 Makeup Geek Frappe: A warm toned light matte brown. I chose this because it’s going to be the ultimate crease shade and will work with so many different eyeshadows all over the lid. Not overly pigmented but it’s buildable which makes it perfect for the crease. 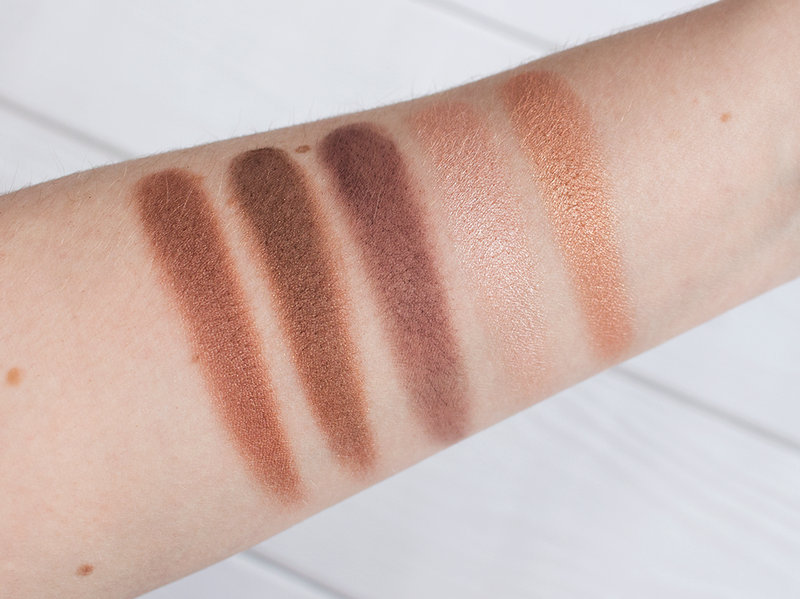 Makeup Geek Cocoa Bear: Another warm toned matte brown with red undertones. This is a perfect match for Frappe and they’ll work so well together. Really pigmented and will work great for the crease, outer V, all over the lid, everything! Makeup Geek Americano: A dark matte red-brown. I bought this to replace Mac’s Embark eyeshadow, it’s the perfect dupe for it but my Mac one is too chalky & dry and is forever leaving horrible lines on my lid. Hopefully this one will work much better! 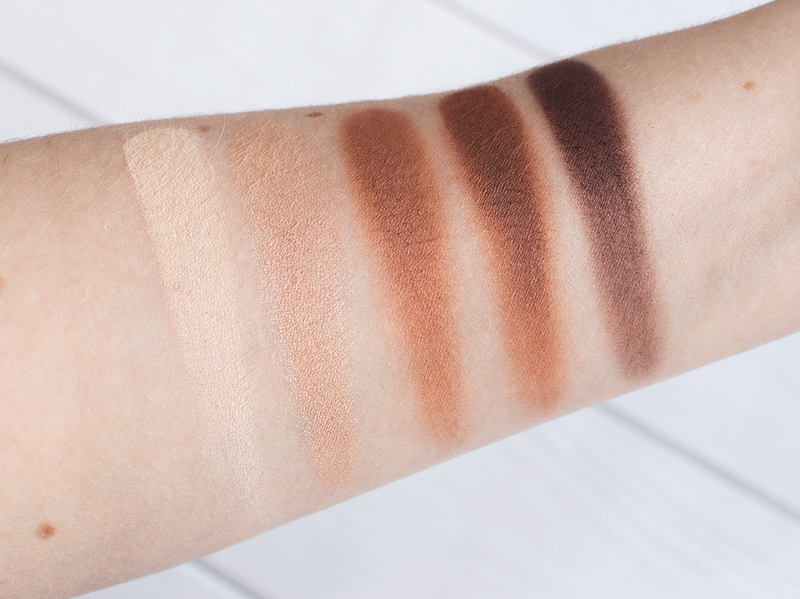 Perfect for those smokey eyes. L-R: Mac Sable, Mac Mulch, MUG Vintage, Mac Jest, Mac All That Glitters. Mac Sable: A red toned bronze shimmer. Beautiful everyday shade for all over the lid with a matte brown in the crease. Mac Mulch: A cooler toned brown shimmer with gold specks of glitter. Another great wearable shade for all over the lid. I love my browns! Makeup Geek Vintage: A matte medium brown with purple undertones. I bought this because I fell in love with ‘Dusty Rose’ from ABH and couldn’t get hold of it over here, and Vintage looked like a good dupe. I love it, so beaut. Mac Jest: A frosty light pink shimmer. Such a gorgeous shade for a subtle and easy all over the lid shade or for the inner corners of the eyes. Mac All That Glitters: A peachy pink with lots of gold shimmer. Probably Mac’s most famous eyeshadow? I love this, it’s so wearable and I always get compliments when I have it on. L-R: MUG Cosmopolitan, Mac Cranberry, MUG Grandstand (Foiled), Mac Honey Lust, MUG Starry Eyed (Foiled). Makeup Geek Cosmopolitan: A rose/copper shimmer with specks of gold glitter. Looks really orange on the swatch but when light reflects on this it’s the most gorgeous rose gold shade, I’m obsessed! Mac Cranberry: A deep red/plum shimmer. Such a beautiful shade for the Autumn & Winter. I’ve worn this under my bottom lash line and it’s just gorgeous. Makeup Geek Grandstand (Foiled): A metallic copper with a rose gold undertone and lots of glitter. Suuuuuuuuper pigmented shade, another one that the swatch doesn’t do justice for. Can’t wait to do a look with this, it’s so so beautiful. It’s my favourite shade overall I think!